Whether the iPhone is flipped into silent mode or not, an incoming text message or iMessage will vibrate. While that’s great for being notified of a new text, in some situations you’d rather have complete silence when texting, you know, when you’re passing time in a boring meeting, sitting a quiet classroom, or maybe you’re just next to someone who is a very light sleeper. In situations like these the best way to text and send messages completely discretely is to not only mute the iPhone, but to go a step further and disable the vibration alert as well. We’re focusing on the iPhone because most people use them for texting, but of course all of this works for sending iMessages on the iPad and iPod touch as well. Exit out of Settings as usual, and you’ll find you can now send text messages in complete silence, free of the alert sound and the vibration. The method outlined above works to disable vibrate only when the phone is flipped to mute though, what if you want to have the vibration off all the time with messaging? 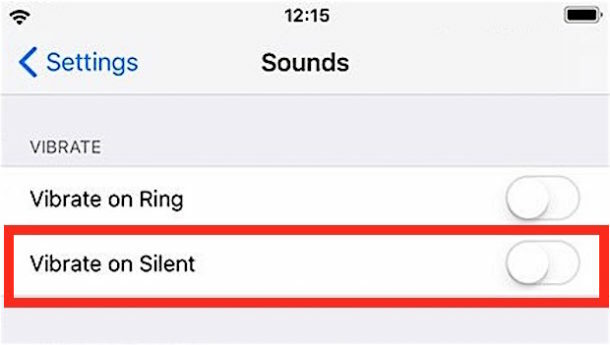 This will turn off vibrations regardless of whether the iPhone is muted or not, but when the iPhone is not on silent mode it will still alert with the standard SMS/iMessage tri-tone sound. 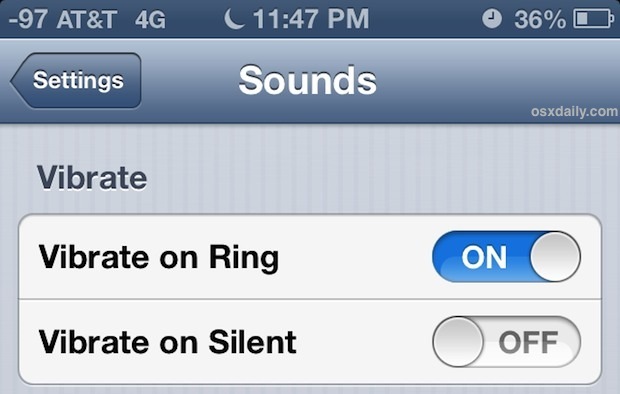 Flipping the iPhone onto Silent will then disable the text tone, and the alert vibrate will still be disabled. You’ll know Do Not Disturb is active because there’s a little crescent moon icon in the title bar. What if you only want to text a single person in total silence with no alert and no vibration? One solution would be to create a silent ringtone and then assign it to an individual contact so that their texts are hidden. Anyway, the above tips can help you send and receive text messages and iMessages in total silence, not just with no sound effect but also no sound of the buzzer that activates on an incoming message to iPhone. No more vibrations at all, just total silence. Enjoy! “Do Not Disturb” only works when your iPhone is locked. So if you “slide to unlock” and are doing something on your phone, “Do Not Disturb” is temporarily ignored. But once you put your phone back to sleep, everything is silenced again. Thank you! This advice is very timely, since I could not seem to figure out how to get Gmail to stop buzzing whenever a message arrived. The problem with this solution is that it also kills the vibration for incoming calls. Not only for messages like youre headline says! This method can remove vibration from notification only. How can I disable iMessages in app Vibration? This really annoying or some time miss the keys because of vibration. Is there any way to disable it? Flip the switch on the side of the iPhone so that the mute button is off and so the buzzing sound is on.